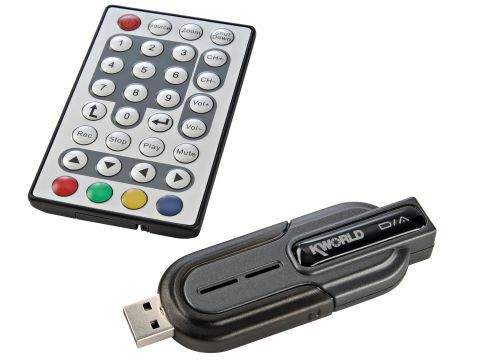 We're suspicious of anything that is far cheaper than it should be, so when I unwrapped the Kworld 380U, my in-built tat-meter was going haywire. Sadly, it turns out I was right to be worried, as the 380U is barely functional. The software is awful, with very few features and a garish set of themes. Essentials like the option to keep the TV window on top when navigating the desktop are missing and when we tried to shut the app down, the GUI disappeared but the TV screen remained somewhere near the bottom-left of the screen. It gets worse, too: the documentation claims that the 380U has an advanced thermal design for increased stability. But in the same way that if I said I was a brain surgeon, you wouldn't immediately hand me the bone saw, expecting the 380U to last beyond 20-30 minutes would be foolish. The device bakes itself and then crashes in a variety of colourful ways. It's just rubbish.